The candidates also looked at the need for new state revenue, as well as their top priorities if elected in November. VANCOUVER — Eight candidates for the state’s 17th and 18th Legislative District seats faced off in pairs this week at the Clark Regional Wastewater District building. The candidate forum was put on by the League of Women Voters and aired on CVTV.org. 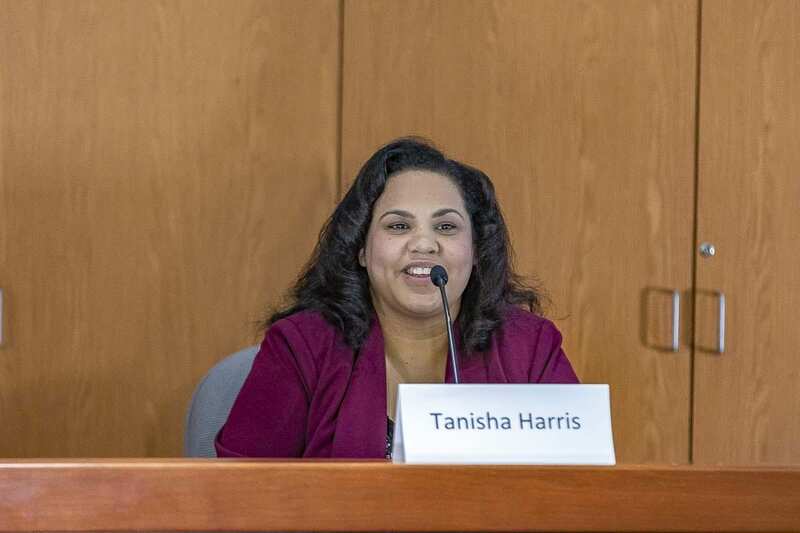 The 17th District, Position 1, race pits incumbent Republican Vicki Kraft against newcomer Tanisha Harris, who is running as a Democrat. Of the four races featured at the forum, theirs represents perhaps the greatest ideological difference. On addressing diversity in public employment, Kraft said policies like Affirmative Action have led us down the wrong path. Harris, the daughter of a black Baptist minister and a white Catholic woman, said she was raised to welcome anyone into her home. On what they’re hearing most from constituents, and what their top priorities would be, Kraft said the Interstate Bridge has come up a lot. She has been an advocate for looking at building a third bridge across the Columbia River. On the topic of the bridge, Harris agreed it needs to be a top priority for the next legislative session. Harris, who spent 10 years working for the Evergreen School District, says education is among her top priorities. “We need people up in Olympia who have a good relationship with our school districts to focus on public education,” she said. The issue of education funding was a popular one, and a question every candidate for state office was asked. The aftermath of the legislature’s McCleary funding fix was widespread teacher strikes, and worries by many districts that they’ll be left with unsustainable budgets in a few years. 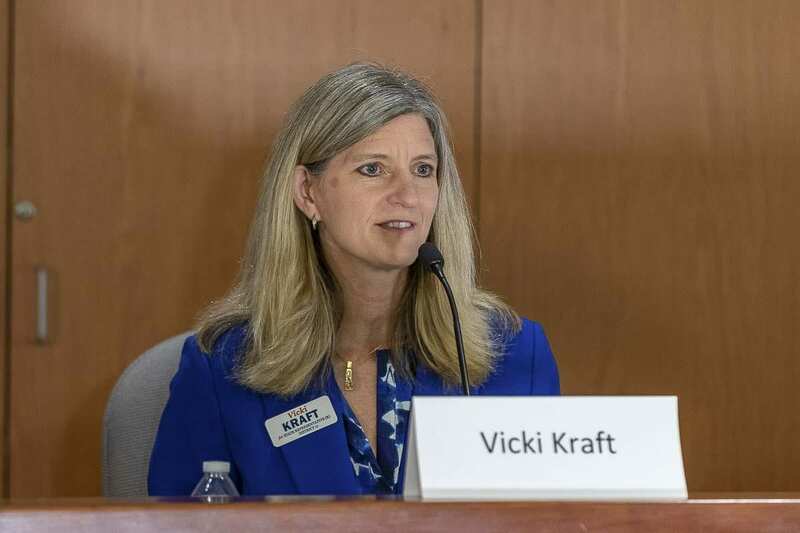 Kraft said she would be interested in looking at the state taking control of the controversial TRI Pay that many districts pay their teachers, and possibly also moving bargaining over contracts into the state level. Harris agreed that it will take more time to understand the full effect of the way education funding is playing out. Meanwhile she said the state needs to take a hard look at special education funding. On the topic of lobbyists and where their campaign donations have come from, both Harris and Kraft said they have taken money from special interests, but only ones close to their ideals. Kraft added that, in some ways, lobbyists have gotten a bad rep.
Kraft said that, while she has taken donations from special interests, she has also returned checks. 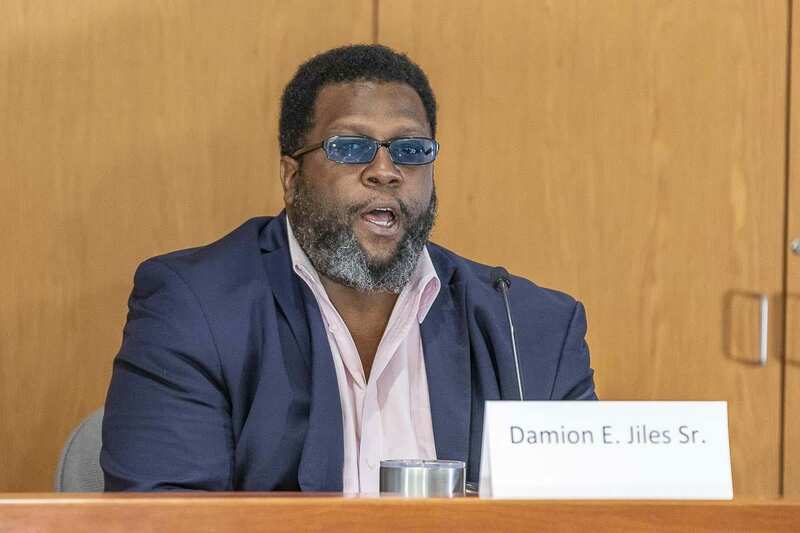 The battle for the 17th District’s second seat is between four term incumbent Republican Paul Harris, and another first-time politician in Damion Giles, Sr., a 12-year Army veteran who moved to Clark County in 2004. Harris has a long list of priorities, starting with a new Interstate Bridge. He is expected to sit on a new bi-state transportation committee. Harris also pointed to healthcare reform, along with homelessness and mental health as areas of focus if he is re-elected. Giles, who has a daughter at WSU Vancouver, said education would be his top priority. Especially a focus on increasing access to skilled trade programs for students not attending a four-year school, in order to build better paying jobs in Clark County. While education funding wasn’t on the original list of questions for the candidates, moderator Ellie Hutton slipped it in at the end. “This is my favorite, favorite question!” quipped Harris, who clearly is tired of answering the question. On whether management of TRI Pay should be moved to the state level, Harris unequivocally said yes. Gilles said he would prefer to see local districts maintain more control over how they budget, but said the legislature needs to continue looking at how education is funding, because it is a moving target. “I believe school budgets should continue to be monitored, and raises given accordingly, and make the necessary adjustments to the education line item in the budget,” said Giles. On the issue of taxes, and whether more revenue was needed, Harris said the state will have a billion dollars more in its coming budget. “I guess the question you have to look at yourself and ask is ‘do I need more than a billion dollars?’” Harris asked, while adding that reforms to the troubled Western States mental health facility could run in excess of $600 million. Raising medicaid reimbursement rates to medicare levels in order to increase access to care would likely run another $100 million. “My job to you is to not overtax you, and then not provide services that you don’t want me to provide,” said Harris. Giles said he believes the state can live within its current revenue levels, but that better examination of how things are budgeted may be necessary, and the state needs to be ready for when the economy inevitably takes a step back. One area Giles said he would look at spending more money is in mental health treatment, especially at the school level. It was an idea his opponent agreed with. Both candidates also seemed to agree about expanding access to healthcare statewide, although Giles espoused a more broad expansion of coverage. 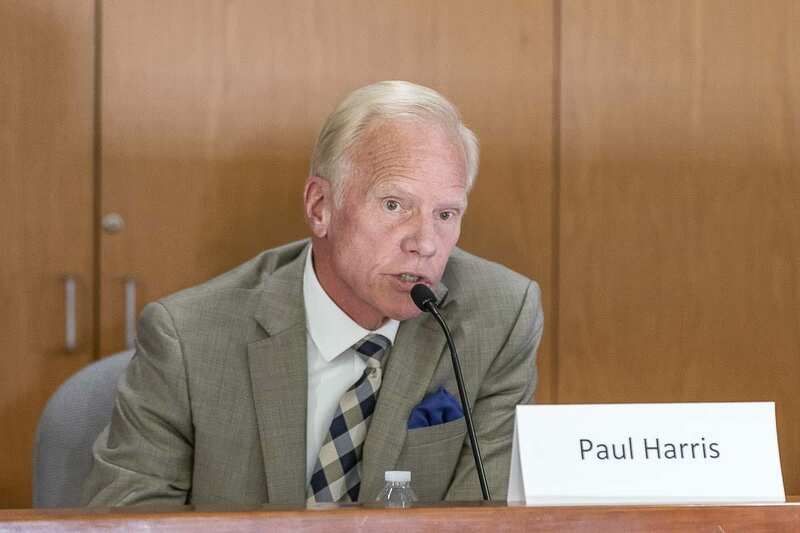 On the controversial Open Public Records law, Harris said he voted for a bill later overturned by the governor that would have exempted the legislature. “This is not that I want to hide anything, but I do believe that we need to have a policy that will make these records open to you, but then also protects you,” Harris said, adding that he interacts with a lot of citizens trying to navigate the state’s health and mental treatment system. Harris says he was concerned that the Open Records law could have exposed emails and health information about his constituents. He said if the legislature comes back with something that has protections for citizens, he would support it. “If I’ve got nothing to hide, then there’s no reason for my record not to be disclosed,” said Giles. 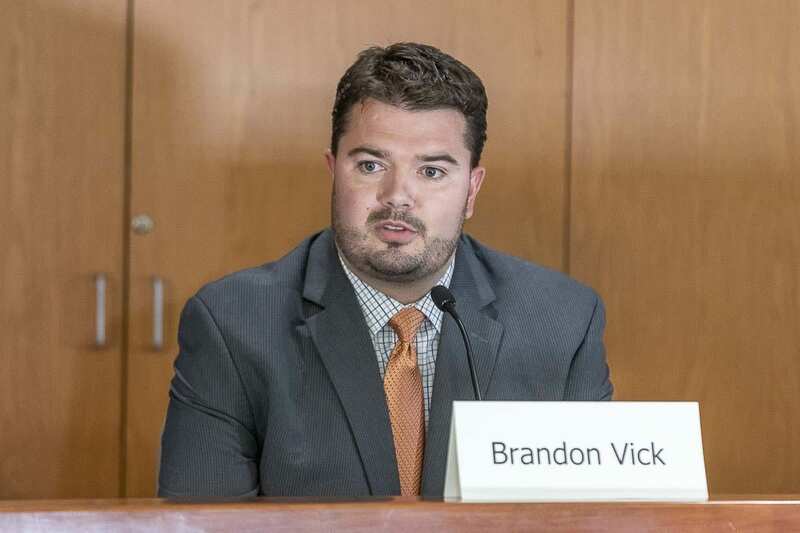 The 18th District, Position 1, is currently held by Republican Brandon Vick, who is looking for his fourth term. He is challenged by Chris Thobaben, another political newcomer and former Marine who is now a private business owner working in autonomous systems for disaster areas. Much of what Thobaben said in response to the questions harkened back to that tech background, with a penchant for using technology and data to address problems. That philosophy plays into his theory around replacing the Interstate Bridge too. Thobaben says he would urge using the project to bring in autonomous vehicle manufacturers to the area. Vick, who also sits on the bi-state transportation committee, said conversations about a new bridge are already ongoing. “The governor said something the other night that I do not approve of, and we’ll address that later,” he said, likely referring to Governor Kate Brown’s comment that she would require light rail on the new bridge before Oregon would come back to the table. 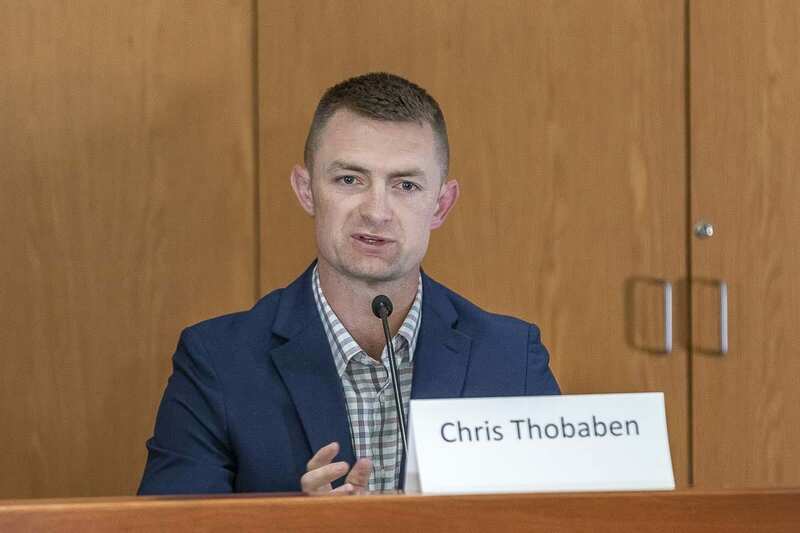 On the issue of education funding, Thobaben again said the state needs to look into using new models of statistic and data tracking to see where money is being spent effectively, and where it isn’t. Vick said it’s his belief that the Washington Education Association planned to strike no matter how much extra money the state gave them, but said it’s clear the state has more work to do when it comes to keeping up with how modern education is funded. As for how districts will handle feared budget deficits, Vick says voters need to be aware that attempts are already underway to increase the state’s $8.3 billion basic education budget by yet another $1 billion next year. On the question of the state’s capital budget, and whether it will be enough to do what needs to be done, Vick said it’s simply a matter of focusing on return for investment, citing examples like the Vancouver Waterfront, Ridgefield Sports Complex, and the upcoming Battle Ground water access project. On the issue of mental health treatment, Vick diverged somewhat from his colleague in the 17th District. Instead, Vick said he would focus more investment into local treatment programs, and mental health clinics at area schools. Thobaben said full board mental health treatment will be costly, but an investment worth making. The 18th District, Position 2 seat pits two relative political newcomers against each other. 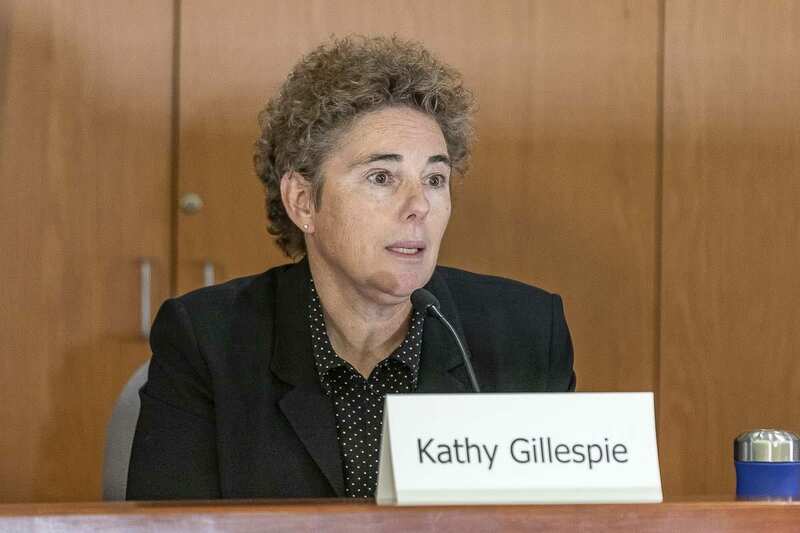 Kathy Gillespie, running as a democrat, is a former newspaper reporter and editor, and was director of the Vancouver Schools Board of Directors until stepping down to run for the seat left open by the retiring Liz Pike of Camas. 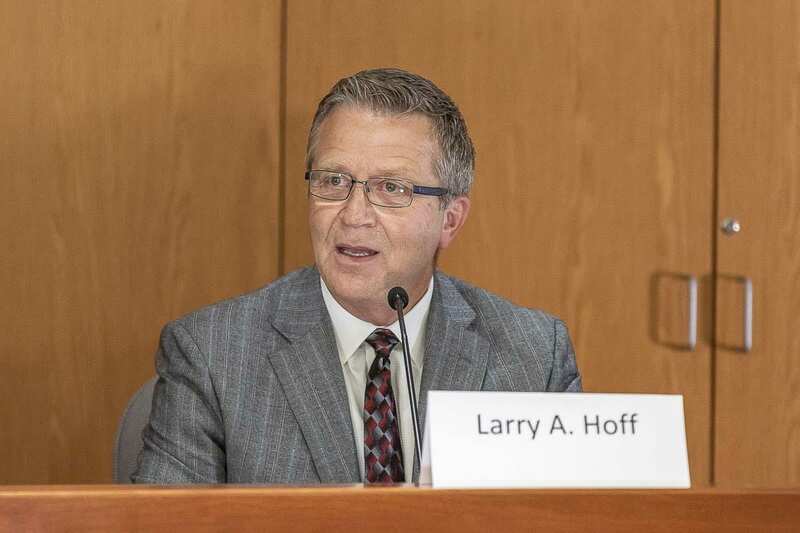 Larry Hoff, running as a Republican, is a former CEO of Fibre Federal Credit Union. Asked what concerns she hears most from people while campaigning, Gillespie said most people talk about wanting to see a restoration of trust between elected officials in state government. Hoff said transportation is the main issue he hears about, and would be a key focus of his if he’s elected. About the McCleary funding bill, both said they would like to give things a little more time before making any major changes. “Any time you have legislation of that magnitude, there has to be course corrections,” said Hoff. Gillespie said she would be open to looking closer at having the state take over TRI Pay from the districts. Back on the topic of the Interstate Bridge, Gillespie echoed some of her fellow Democrats in calling for a new span that includes mass transit. For his part, Hoff said even a shiny new bridge along I-5 isn’t going to take care of the commuting nightmare many people face on a daily basis. “We need to take a look at all those choke points in Oregon, as well as begin the planning for a third and fourth bridge,” Hoff said. Asked whether they thought Washington state needed to raise taxes in order to pay for needed programs and infrastructure, both candidates said no. “How many of you have enough income to handle everything you want?” Hoff asked the audience. “It just doesn’t happen. Gillespie was more nuanced in her response, but agreed that the state needs to learn to live within its means. She did add that she would be open to looking more closely at the state’s tax system, to see if there are exemptions or loopholes that could be closed, before looking at the possibility of raising any new taxes.